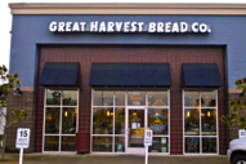 From customer to owner, Great Harvest is a dream come true for us! 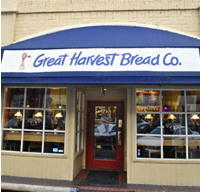 When on the hunt for the best 100% whole wheat bread to feed our family we came across Great Harvest’s amazing products. We spent years feeding our five hungry boys our favorite Honey Whole Wheat, made with only five simple ingredients. Little did we know our desire to buy a local business, where we could eventually have our boys work alongside of us and give back to a community we love, would lead us to Great Harvest as well! Now along with eating the best bread we’ll be milling the wheat and kneading the dough daily too! 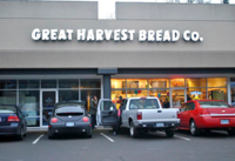 We hope our Salem Great Harvest locations feel like an extension of our home. We have a soft spot for welcoming friends and family into our home and we are so excited to be able to welcome you our neighbors, the Salem community, into the bakery! We want this to be as much your space as ours! Come in grab a free slice of bread and please introduce yourselves to us! We hope upon your walking out the door of the bakery you’ll have felt well loved and fed, just like you’d walked out of our home. We are Ian and Lonna Hagen: high school sweet hearts, Oregon natives, and University of Nevada Graduates. Before Great Harvest Ian worked in sales and nearly a decade before that played golf for a living. Since Lonna retired as Ian’s caddy (more of a cheerleader than caddy) she has been pursuing her dream of motherhood. With a new small business, five little boys, a puppy, and a dozen or so chickens we keep busy, and we wouldn’t have it any other way.